Danixia is a professor at the Law Center: The Paralegal Studies Department at Miami Dade College, Miami, Florida. She is a paralegal studies expert teaching an array of courses in the Law Center, which range from the introductory law courses, Legal Ethics, Business Law I and II, as well as the exit capstone courses. 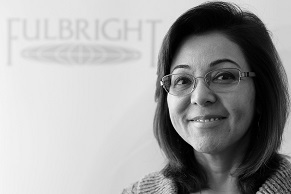 Danixia was a Fulbright- Nehru scholar to India during the 2013-2014 academic year. She taught advanced contracts law to second year law students at the National Law University in New Delhi India. As an expert in cooperative and collaborative teaching pedagogy, she provided workshops for faculty on this pedagogy and assisted them with curriculum development. In 2016, Danixia returned to India and delivered a Symposium for Indian faculty and administrators on creating a National Paralegal Education Training Program in India, as part of a workforce skill development program and expansion of community colleges within India. Such a program will enable community paralegals to increase access to justice by delivering much needed legal services to residents from remote areas within India. Upon returning to MDC, she spearheaded the effort to author a Fulbright Scholar in Residence grant to bring an Indian scholar to MDC during the 2016-2017 academic year. Her colleague from NLU-Delhi was successfully hosted by MDC as the first ever Fulbright Scholar in Residence. Danixia has served as a National Endowment for the Humanities Fellow for the Fannie Lou Hamer Civil Rights Institute in Jackson, Mississippi. Additionally, she has been the recipient of two Endowed Teaching Chairs at MDC awarded for faculty teaching excellence; 2016 The Daniel K. Gill Endowed Teaching Chair and the 2007 Wachovia Bank Endowed Teaching Chair. Danixia has created numerous service learning projects for her paralegal students to become engaged citizens. These projects have included free legal clinics in Immigration Law, Domestic Violence and Special Education Law. Her students and she have worked to provide services to the local homeless community, victims of domestic violence and the local immigrant community. Additionally, she participated in a pilot project with the American Bar Association and Girl Scouts of America, Take Charge, which taught young girls about domestic violence. Danixia spent years working with ASPIRA, a national non-profit organization dedicated to empowering children to become leaders through education. She created the Pathways to College Mentoring Project and subsequently became a board member of the local ASPIRA of Florida organization. She has authored several articles about Service Learning and Paralegal Education; Model United Nations as well as the creation of a National Paralegal Training Institute within India. Additionally, she presented nationally and internationally regarding topics such as paralegal education, collaborative teaching pedagogy, legal ethics, service learning, the death penalty and the women in America. She is a graduate of Rutgers University, Douglass College and Rutgers Law School-Newark. Danixia lived in India with her then middle school aged daughter. They became immersed in Indian culture, language and traditions leading to a transformative experience for both mother and daughter. It was a mutual exchange of cultural ambassadorship. Now, her daughter is a fully-fledged global high school student.